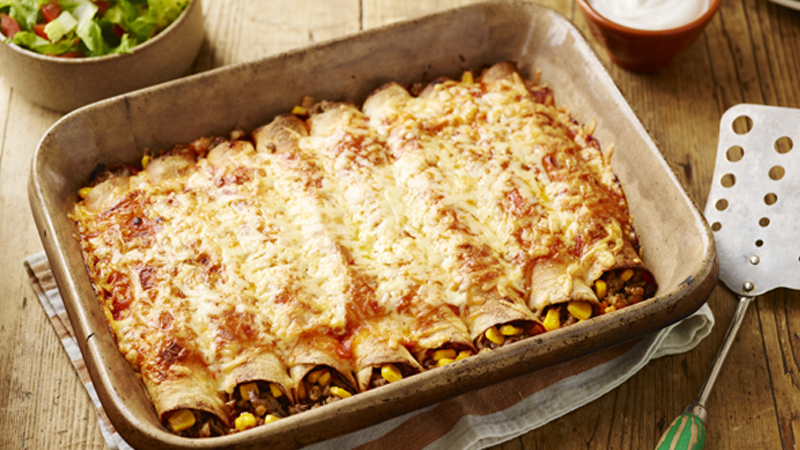 Enjoy an authentic Mexican supper with these tasty hot and spicy enchiladas. Preheat the oven to 180ºC (160ºC for fan assisted ovens), gas mark 4. Heat the oil in a large non-stick frying pan over a medium heat and fry the onion for 5 minutes. Add the beef and cook for 10 minutes until browned all over, stirring frequently. Stir in the chilli powder and corn and cook for 5 minutes then stir in the soured cream, chopped jalapeños and half the grated cheese. Cool for 10 minutes. 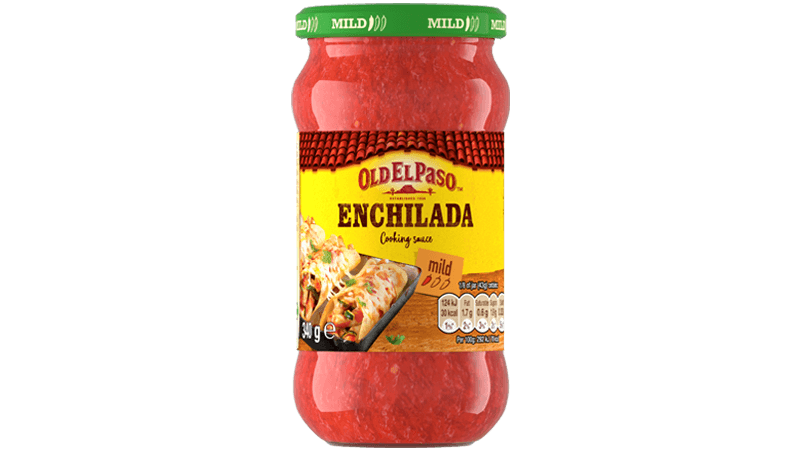 Spread one-third of the enchilada sauce in the base of a lightly greased 23cm x 32cm ovenproof baking dish. 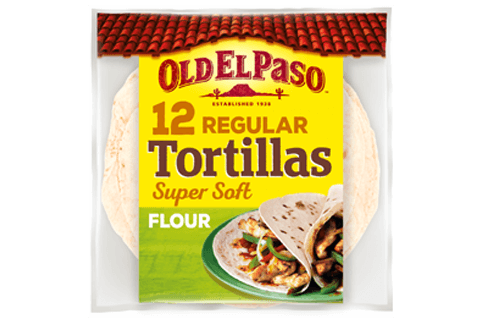 Spread about 2 teaspoons of the remaining enchilada sauce on each tortilla. Top each with some of the beef mixture and roll up. Place seam-side down in the baking dish. Spoon the rest of the enchilada sauce over the top and scatter over the rest of the grated cheese. Cover the dish with greased foil and bake for 30 minutes. Remove the foil and bake for a further10 minutes until the top is golden and bubbling. Serve with shredded lettuce, diced tomatoes and soured cream. 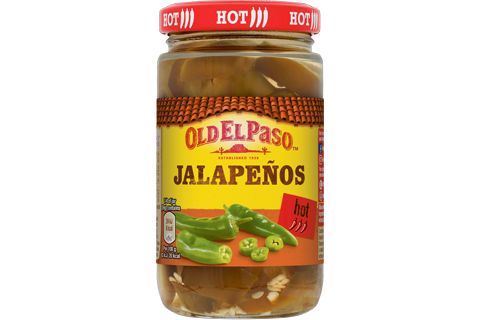 For extra heat, scatter some more chopped jalapeños over the cheese topping before baking. For a change use lean chicken or turkey mince and add some chopped pancetta for extra flavour.